Nominations to be prime minister of Tonga have closed, with two people set to battle for the votes of Members of Parliament in the coming days. The official nomination period ended on Thursday at 4.30pm, with a second candidate being added to the mix on that final day. Nominations opened at the beginning of the month with interim speaker Lord Tangi inviting the 26 MPs to submit their preferred candidate. The first nomination was received on the 5th of December delivered by the Tongatapu Democratic Party MP Pohiva Tu'ionetoa. However the second nomination wasn't received until the last possible day from Vava'u representative Samiu Vaipulu. The nominated people will be announced by Lord Tangi and a date for the secret ballot will be declared later today. Before the vote, nominees will be given a chance to speak and other MPs may also speak in support. The successful candidate will become Prime Minister designate before being officially appointed by the King. A Speaker and a Deputy Speaker will be elected before the prime minister selects his cabinet. The government is expected to be formed before Christmas. 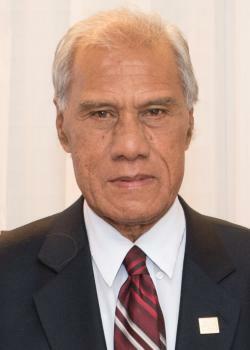 Interim Prime Minister 'Akilisi Pohiva's Democratic party won 14 of the 17 People's seats during the election but there are also nine Nobles' Representatives to be reckoned with in parliament.